If the Apple Watch wasn’t enough of a headache for the likes of Rolex, Omega and Swatch, the pirating of their classic watch faces for use on the latest smartwatches just adds insult to injury. In a development so obvious and futile that we actually face-palmed, a cohort of Swiss watchmakers have sent out cease and desist letters to sites offering smartwatch faces that rip off classic wristwatch designs. 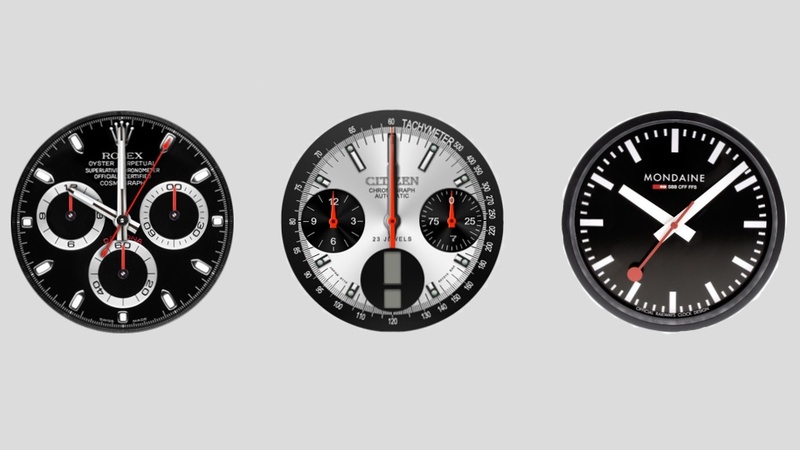 IWC, Omega, Fossil, Armani, Swatch and Mondaine, which famously sued Apple for $21m over the use of its iconic Swiss railway clock face in iOS, are all attempting to limit the distribution of their designs via torrent sites and smartwatch apps. It’s a story that’s been often repeated, and the watchmaking fraternity must be aware there’s only so long that they can keep their designs off the web. A quick search revealed plenty of big-brand options still readily available. You can't blame the watch designers for being militant about their IP, although the idea that the watch face would be enough to make a prospective buyer choose a $200 smartwatch over a $10,000 luxury timepiece is rather comic. However, it could be an opportunity. We can only hope that those brands learn lessons from the music and film industries and realise the value in offering their designs legitimately. If they sold them officially via Google, Motorola and LG, it could nip piracy in the bud, and usher in a new era of relevancy for brands. Like that will ever happen.